Mark Hollingworth (M.Eng, EMBA) Mark Hollingworth is the founder and president of 5i Strategic Affairs and is an expert in strategic leadership. He has worked as a management consultant, workshop leader and facilitator, educator and ontological coach to the profit and not-for-profit sectors in Montreal, Canada for over 30 years. His particular interest lies in developing and implementing sustainable business strategies and promoting leadership in knowledge-based organizations. Throughout his career, Mr. Hollingworth has specialized in training and facilitating the strategic planning and implementation processes for large clients such as Bristol-Myers-Squibb (BMS), Cirque du Soleil, Cogeco, Hydro-Quebec, Imperial Tobacco, Kruger Inc, Linamar, Metso Minerals, Motorola, RioTintoAlcan, Richter, Standard Life, TELUS and has also worked with numerous small companies and start-ups in the technology field as well as with several not-for-profit organizations. In the past few years, he has also worked abroad with individuals and organizations in Abu Dhabi, Bhutan, Costa Rica, Ghana, Guatemala, Kenya, Nigeria, Saudi Arabia, Spain, US, Vietnam, Zimbabwe among others. Mark is a program leader in the Executive Institute at the Desautels Faculty of Management at McGill University – where he offers two workshops : “Strategic Planning & Execution” and "Strategic Leadership". Mark has lectured at McGill in different programs and faculties since 1999, teaching courses in Strategic Management, Leadership, Sustainability, the Impact of Technology, and Technological Entrepreneurship. He is the author of the books "Growing People, Growing Companies: Achieving Individual & Organizational Success in the Knowledge Economy" (2003) and Strategic Assumptions: The Hidden yet Powerful Beliefs that Control every Decision you Make" (2014) and has written and published numerous articles. 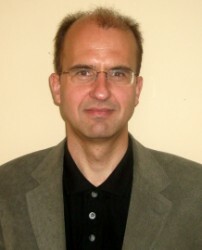 He is a graduate of the Coaching for Personal & Professional Mastery Program of Newfield Network (Boulder, CO). Mr. Hollingworth speaks three languages - English, French and Spanish - and currently consults throughout Canada and internationally.